I’m a clinical psychologist, licensed in India…and recently I’ve been reflecting on how I got here. Since I was a kid, I’ve known I wanted to do something different, to help people, but I didn’t know what. My interest in the field of Psychology began when I was in class 10. I did not know much about the subject but was fascinated by the fact that it studied human behavior. It was one of my best friends who got me curious and interested in the subject. She’d always tell me about one of her cousins who was doing her bachelors in Psychology and how she really ‘understood’ quite a lot of things that we were going through and actually helped her with them, unlike others who would either ignore or make fun of her. We were teenagers then – extremely self-conscious, ridden with inferiority complexes, wanting to be liked by everyone. We knew we had to focus on school work and the board exams but our minds wandered just everywhere. During those growing up years, it was good to have someone guide us. For my friend, it was her cousin; for me, it was my Mom. But, I knew it wasn’t so for many of my other classmates. My friend would narrate how her cousin would talk to her and guide her during difficult times, be it school work, exams or any other issues that she’d have. I initially just thought that she was a nice person and a good sister; but, my friend seemed to believe that it was the subject that gave her cousin a deeper understanding of why different people behave the way they do and the ability to understand them. That seemed amazing and, if it were true, then I wanted to be someone who could do that – someone who is able to understand what the other person is going through and help them without judging them. I was finally able to do that when I started counseling. After about 6 years of study in Psychology and training in counseling, I began to work with people of different age groups and backgrounds. The group that I really enjoyed working with was college students. I felt I could connect with them better because it wasn’t long before that I was in their place. Friendships, relationships, projects and assignments, all these to deal with and more. I worked for 2 years as an on-campus counselor at an undergrad college in Hyderabad. Initially, only those students who were sent by faculty would come for counseling. It took a while before students voluntarily came to talk to me. What got them to come talk to me were a series of sessions on topics like how to manage stress, how to better prepare for exams, dealing with relationships and, finally, gatekeeper training (‘Gatekeepers can be anyone, but include parents, friends, neighbors, teachers, ministers, doctors, nurses, office supervisors, squad leaders, foremen, police officers, advisors, caseworkers, firefighters, and many others who are strategically positioned to recognize and refer someone at risk of suicide’, as defined by QPR Institute). It was after these sessions and interacting with students on various occasions that they gradually started trickling in and, following my ‘Gatekeeper training’, I was overbooked with appointments. Students were concerned about their friends and, after they learned about the signs and cues that help identify depression and suicidality in others, they practiced the skills of active listening and empathy and walked some of them to the counseling room. I gradually learned that the reason many students not come earlier – and why some of them were still hesitant to see a counselor – was their fear of being ridiculed, of being called ‘crazy’. While some of them were happy to have someone to talk to and seek help from, some of them saw it as a sign of weakness. These myths and the stigma around mental health is what prevents a lot of young people from getting the required help they need in order to be more productive and healthy. Most of us think of mental health as only ‘absence of mental illness’; but, just like physical health, it is not just the absence of illness – it is the ability to lead a productive life; it is a state of well-being. Another important point is that mental health or psychological well-being goes hand in hand with physical well-being. There is a clear bias against mental health concerns, as a lot of sympathy and empathy is felt and expressed when someone suffers from a physical ailment, whereas mental health concerns are frowned upon. This has led to a lot of people shying away from seeking help from mental health professionals when they really need it. We all face some amount of stress and when this stress goes beyond our ability to handle it, it is wise that we seek help. It only shows that we care for our self – our whole self. We do not think twice before consulting a doctor when we have the flu or suffer an injury but we are wary of seeing a therapist for the stress and anxiety we face. 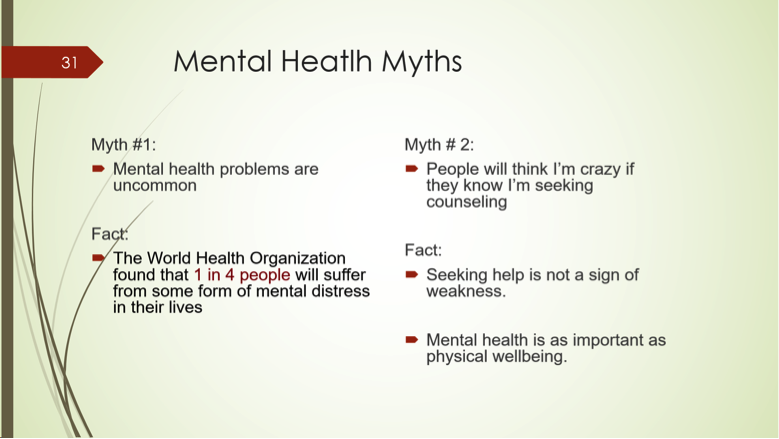 I guess it will take a while until these myths and false assumptions about mental health are put to rest. Our efforts must continue. So, apart from these concerns, students also expressed time constraints as being a reason for not approaching me for counseling. They could see me after college hours, during breaks or during class with their faculty’s permission. But, a lot of them were not able to come even though they wanted to, owing to their schedules. They were busy with classes, activities and clubs after college and so were unable to access help even though it was available. Even though I wanted to, I could not reach out to all of these students. After getting married this December, I moved to the Bay Area. It was a big change for me – not only was it my first time living away from home (halfway around the world being my first step), but I was not sure how I was going to be able to continue doing what gives me the most satisfaction – working with students. That’s when I got connected with the Mana Maali initiative. Although I moved across the world – I found that it can still be a small world. My classmate from Osmania happens to be an engineer at a startup in San Francisco called Lantern, a core partner in the Mana Maali initiative. Many of the concerns I experienced during my time as an on-campus college counselor seemed to be addressed by the Mana Maali Student Wellness initiative. Students could take an online survey – privately, whenever they wished – and assess their anxiety. They could then immediately be connected to help, in the form of an online program and Coach/Guide. 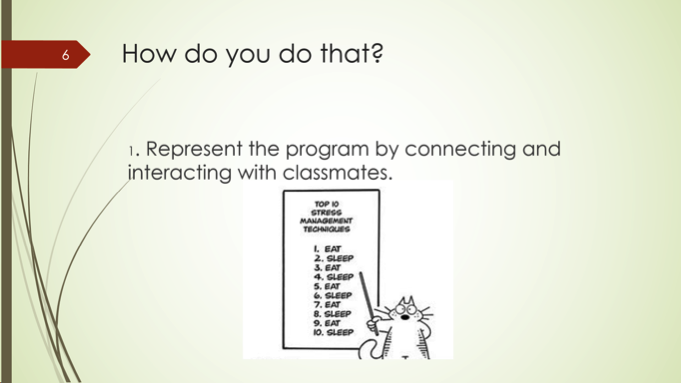 This program teaches students ways to deal with anxiety and stress typical in college life. Not just academic issues, but personal concerns are also addressed. Students are taught (through an online program) tools and techniques that help them learn more about themselves and how to reduce their anxiety. Then, the coach/guide helps them apply these techniques in their day-to-day lives and to their specific situations. I joined as a Coach supervisor. In this role, I meet with all of the coaches who work with students every week to ensure they feel supported in the work they are doing with students. This was both a new and old experience for me. 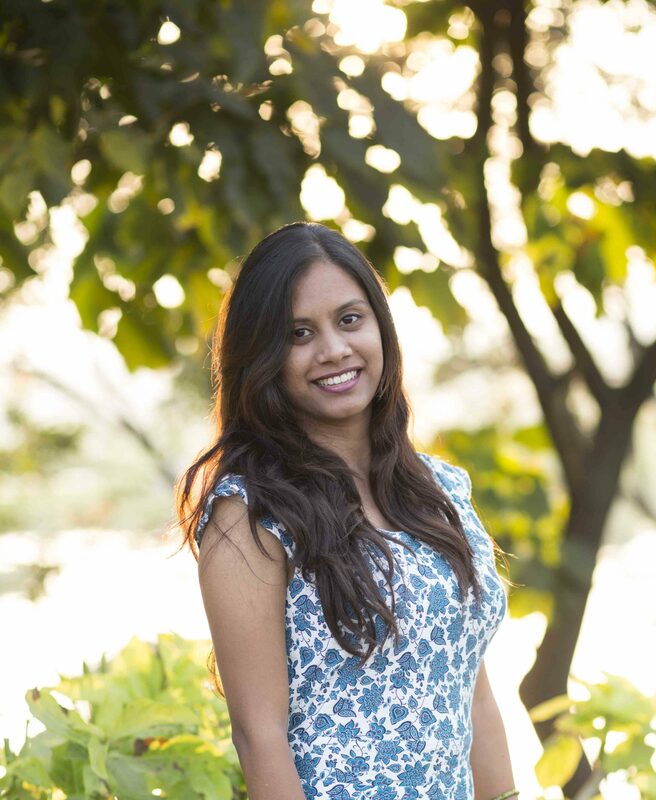 I actually served as a supervisor for some of the current coaches (e.g., Rajashree, Amulya) during our time together working at the Hyderabad Academy of Psychology. I’m grateful that though separated by continents, we are still able to work together towards the same goal. What I love about the approach proposed in the Mana Maali initiative is the use of technology to reach out to students. It not only addresses accessibility concerns, but it also allows students to ask for help anonymously. So if they are concerned about not letting anyone know they are seeking help, this program gives students that freedom. I sincerely hope that more number of students benefit from this program so that they are better able to manage their stress and anxiety and also gain holistic wellness. I believe that not only will this help them individually, but also the knowledge they gain from this program will help gradually diminish the stigma around mental health, at least in the community and peer groups around them. Another hat I wear beyond coach supervisor is trainer to the Mana Maali Mental Health Ambassadors. These are student volunteers across each of the BITS campuses that Mana Maali is working at who represent the initiative and help promote mental health awareness in the BITS communities. In my training with the MMMH ambassadors, I taught about the program and how it works, their role as a MMMH ambassador, being more empathic while interacting with peers, and finally, facts and myths about mental health. 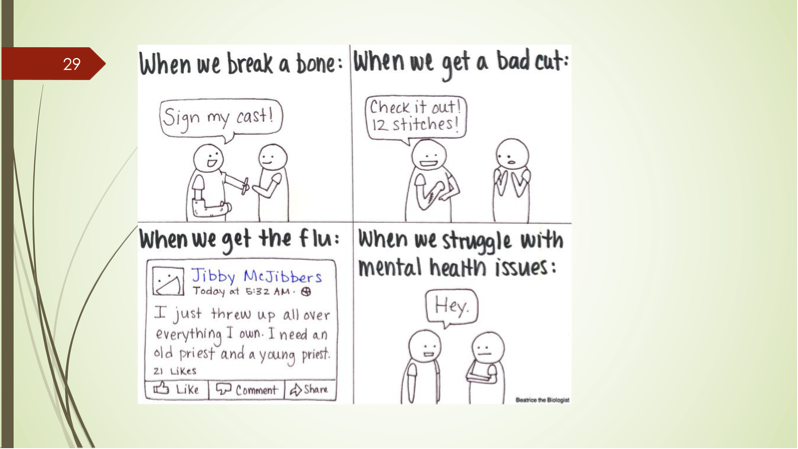 In teaching students to play these roles and impact change on their community, I hope we can slow change the conversation (or at least start the conversation) around student mental well-being. 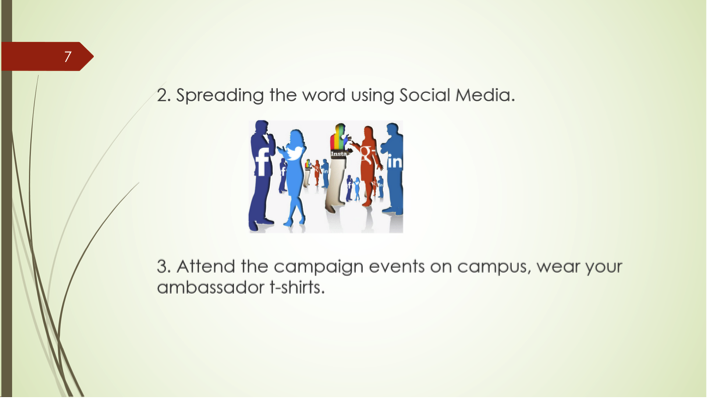 You can check out some of the topics covered below. I’m really excited to be a part of this program that’s allowing me to stay connected to my passion and hopefully is helping other students define and fulfill their own.